Vented helmet with slim profile ear protectors for comfort and mobility during operation and with the ratchet adjustment headband it’s simple to set-up. Reflective stickers are visible from all angles to aid safe working. 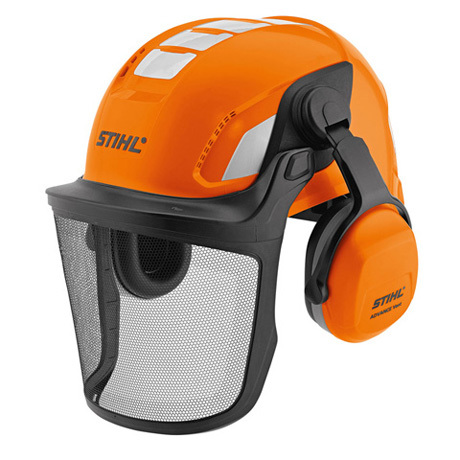 The sturdy metal mesh visor allows up to 70% light visibility for a protected and clear view. 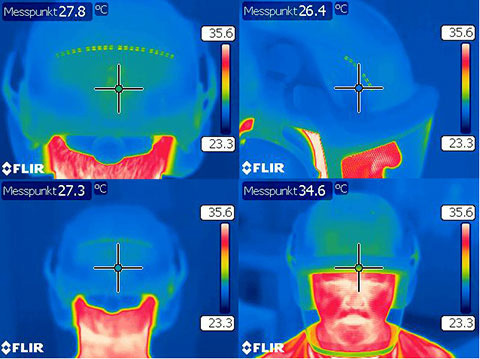 The image shows a heat map of a persons head whilst wearing the helmet set. Due to a range of vents distributed around the helmet, heat is allowed to escape efficiently for increased comfort during working.